There is a strong link between psychiatric disorders and traumatic brain injury. Victims of TBI can develop ongoing psychiatric disorders and mental illnesses such as depression, memory loss, chronic traumatic encephalopathy, and post-traumatic stress disorder. Our Stockton, CA, law firm represents TBI survivors who have developed mental disorders following their injury. Let Shore, McKinley, Conger & Jolley, LLP evaluate your case to determine whether you can pursue a lawsuit for your injury against a negligent party. We will treat you with the compassion you deserve so that you can recover as fully as possible. In a 2013 study, scientists linked head trauma to the risk of developing certain psychiatric disorders. Notably, people with TBI were 59 percent more likely to develop depression and 28 percent more likely to develop bipolar disorder. Numerous other studies have linked TBI with other mental disorders, as well. Though one of the more common mental health conditions tied to TBI, many patients do not realize when depression is affecting them. It can interfere with your ability to carry out routine tasks and go about your daily life. Depression can cause a loss of pleasure in otherwise enjoyable activities, difficulty concentrating, feelings of worthlessness, and changes in sleep. While many people develop depression independent of physical injury, a TBI can significantly increase your risk. 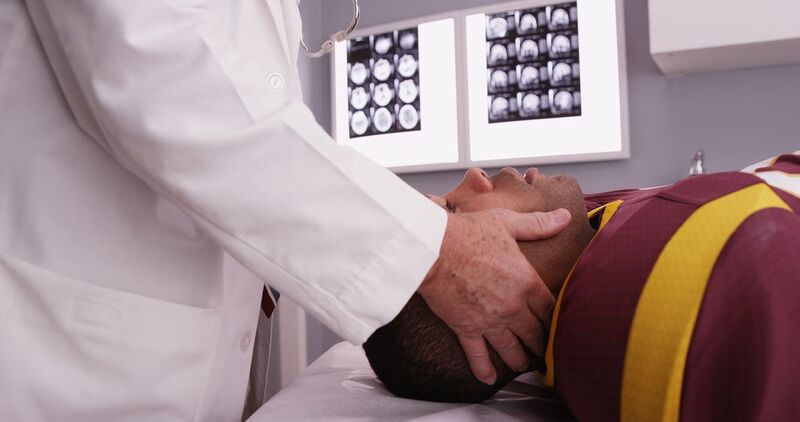 Sports fans may be familiar with Chronic Traumatic Encephalopathy or CTE. This condition is often seen in individuals who have suffered repeated impacts to the head, as many football players have. Symptoms vary considerably but may include depression, paranoia, impulse control problems, poor memory, and trouble thinking. These symptoms usually do not surface until years after the injuries but can noticeably worsen over time. In some cases, survivors may develop dementia. Patients dealing with TBIs not only have to recover from the physical injury but must also be prepared for changes in their mental health. TBI victims are especially vulnerable because they are at a heightened risk of psychiatric disorders. After a TBI, some individuals develop post-traumatic stress disorder or PTSD. Common symptoms of PTSD include bad dreams, frightening thoughts, and flashbacks. Flashbacks, in particular, can cause stress at any time during the day, as victims relive their trauma repeatedly, which may manifest in physical symptoms such as sweating and a racing heartbeat. This may cause the victim to stay away from certain places, objects, or events that remind them of their TBI. Survivors will generally do what they can to avoid thinking about the incident. TBI victims are especially vulnerable because they are at a heightened risk of psychiatric disorders. At Shore, McKinley, Conger & Jolley, we want you to heal and to live a fulfilling life. We also want to provide legal guidance to you when you need it most. Our personal injury attorneys can look at your case and explain your rights. If your case warrants legal action, we will outline a plan to ensure an optimal outcome. To schedule a free consultation, contact us or call (209) 477-8171 today.